Distal clavicular osteolysis or AC joint osteolysis, often referred to as weightlifter’s shoulder, is an orthopedic condition characterized by a series of small fractures along the end of the collarbone. As its popular name suggests, it most commonly occurs in weightlifters, though heavy laborers are also susceptible to it, and in some cases it can be caused by direct trauma. As these fractures deteriorate, they increasingly erode the bones within the AC joint (the junction connecting the collarbone and the shoulder blade). The most common symptoms of DC osteolysis include a dull ache over the AC joint, pain and tenderness when pressure is applied on top of the shoulder, swelling at the end of the collarbone or in the AC joint, and a general sense of weakness in the shoulder. 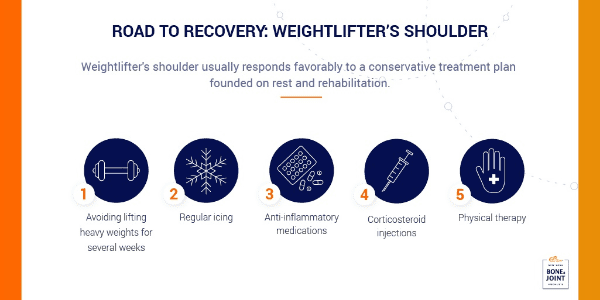 Weightlifters and heavy laborers usually feel significant pain in the shoulder after working out, as well. DC osteolysis usually responds favorably to more conservative treatments. Indeed, most cases can be effectively treated with some combination of rest, regular icing, anti-inflammatory medications, corticosteroid injections, and physical therapy. A typical rehabilitation plan should completely eliminate pain in six to eight weeks. Though usually unnecessary, some patients with DC osteolysis may need to treat their condition with a minimally invasive arthroscopic surgery. 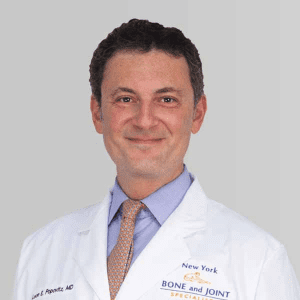 Most cases of it can be easily resolved with a distal clavicle resection, a procedure sometimes referred to as AC joint arthroplasty or the Mumford procedure. Performed through small pin hole incisions, this minimally invasive arthroscopic procedure entails the removal of less than one centimeter of the end of the clavicle bone and some contouring of the AC joint. As a result, the bones in the AC joint won’t grind against each other, eliminating pain in the shoulder while restoring a complete range of motion. Since it’s a minimally invasive arthroscopic procedure, a DC resection has a much shorter recovery time than open surgery, with most patients returning home on the same day. After resting your arm in a sling for several days, you will be able to start physical therapy. 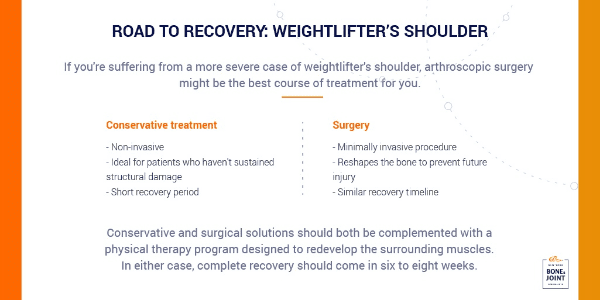 Any pain and discomfort caused by surgery should subside in a few weeks, and most patients completely recover after six to eight weeks of physical therapy.